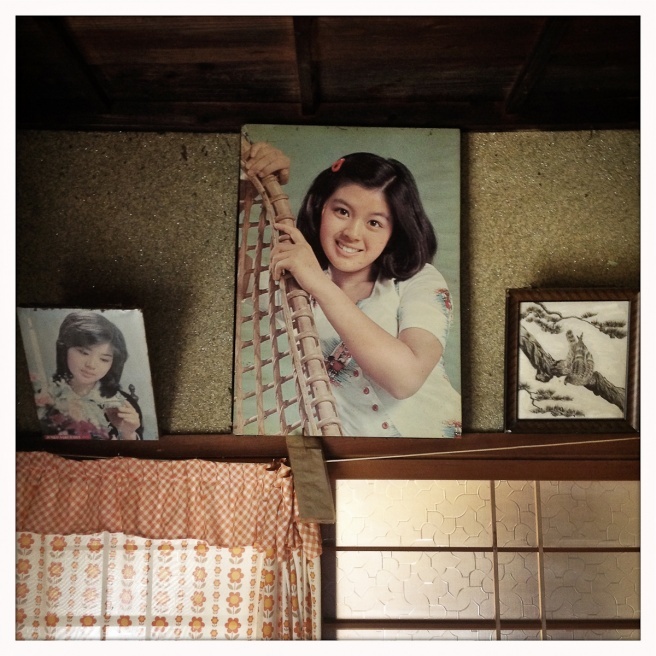 An old picture of a 70's teen idol remains hanging on the wall of an abandoned house owned by Eiko Nakano, 86, who lives in a nearby group home called Kouyou-no-Sato, which means fall foliage. 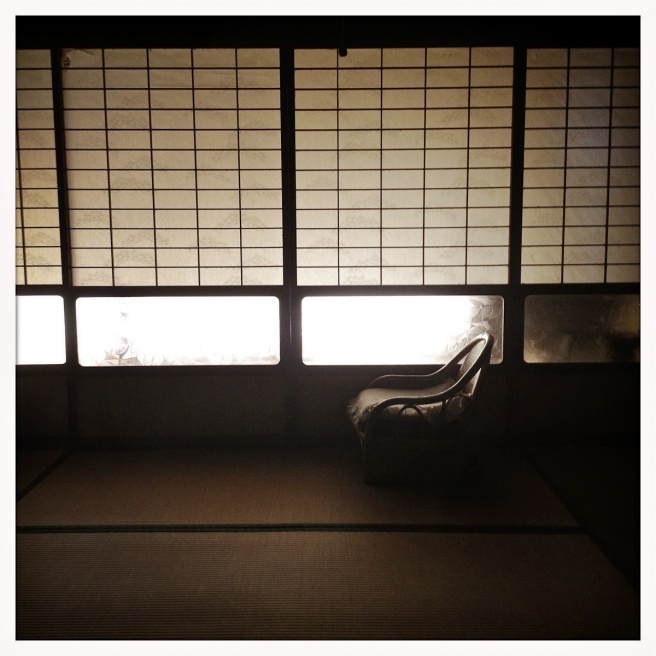 The guest room of an abandoned house owned by Eiko Nakano, 86, located in the mountains of Oda. 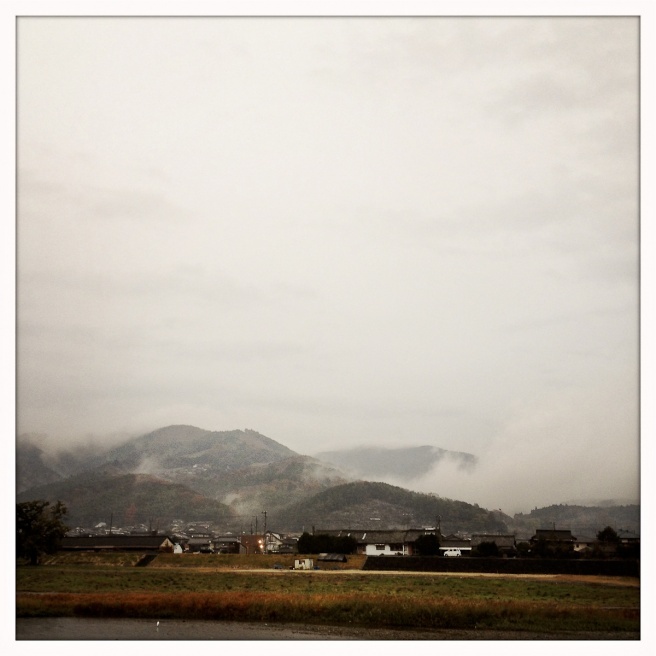 Eiko has been living in a nearby group home called Kouyou-no-Sato, which means fall foliage. Rice patties can be seen off of Main street. People of Oda rely on growing rice, shitake mushrooms and obtaining lumber from the nearby mountains. 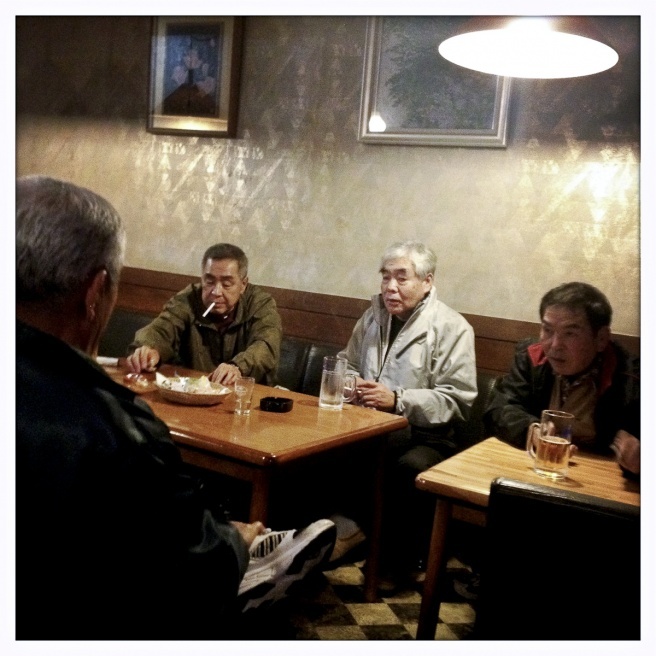 Locals spend their time at "Yamabiko" a karaoke bar where road workers and people of the community go to daily. A view down Main St. Many business have closed in the past decade due to local economic issues. Almost all young people after graduating high school migrate to bigger cities in search of opportunity. 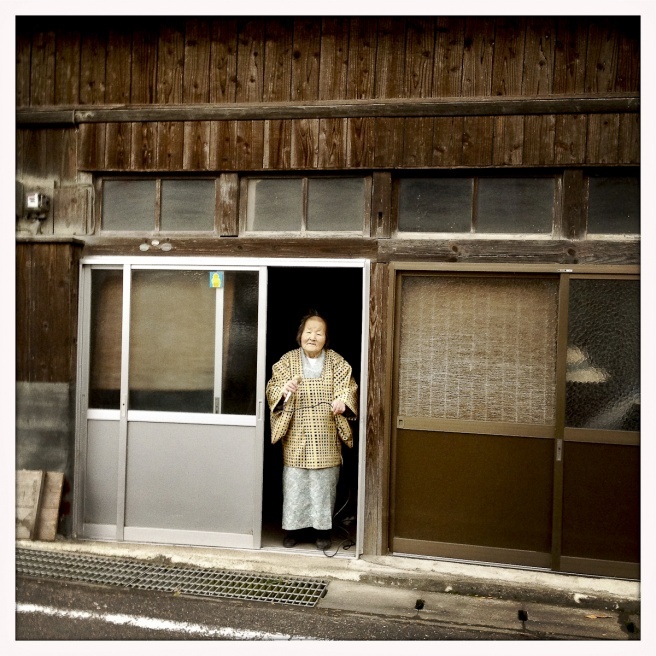 Tsuyako Takeda, a local karaoke singer who sings every day at 7 am from the doorway of her home on Main St.
An overview of the town of Oda, which is tucked below in the mountains about 60km from Matsuyama, Japan. 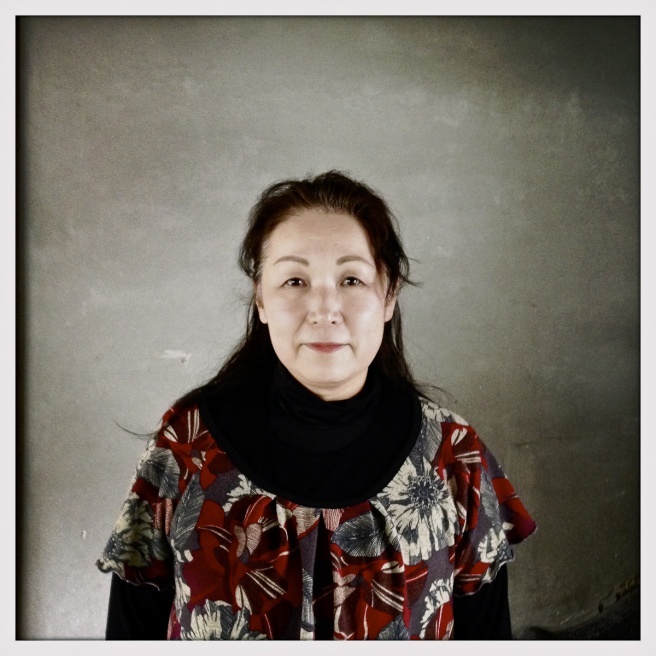 Keiko Tominaga Fujiya, goes by "Mama" is a local guesthouse owner, she caters mostly to local road workers and Henro pilgrims passing through town. The town of Oda has a population of roughly 2600 residents and on the decline. 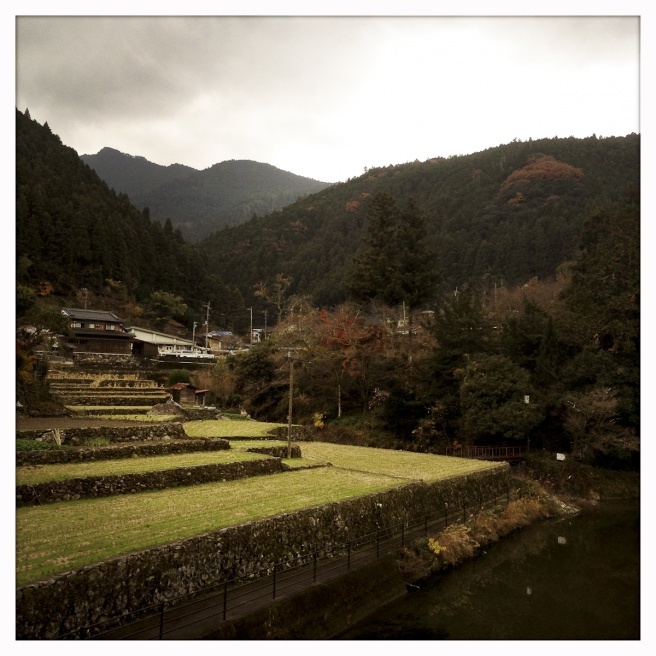 Situated in the mountains about 60km from Matsuyama, Japan. Empty school desks remain in a classroom at Oda elementary. The school has roughly 40 kids total, it will be demolished in 2014. 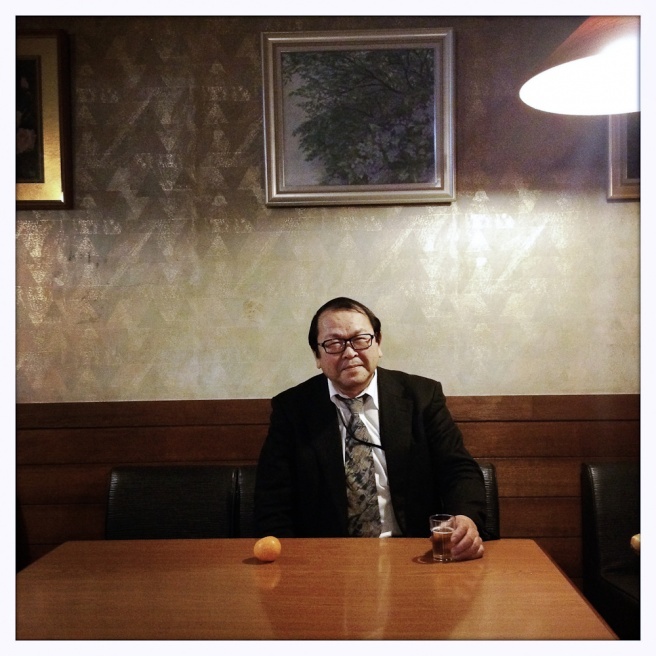 Local Karaoke singer Mr. Kamikubo, sits for a drink before his opening act at Yamabiko, a local karaoke bar where road workers and people of the community go to daily. 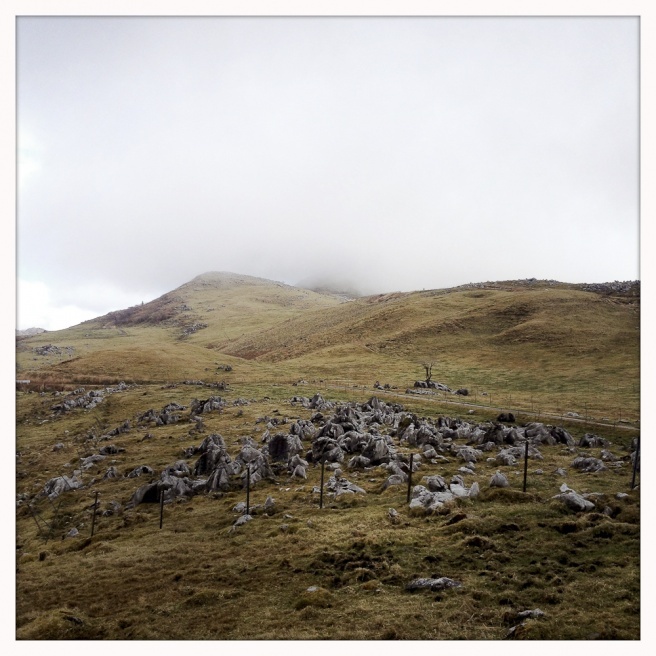 Shikoku Karst, a nearby mountain top plateau with exposed lime stones. 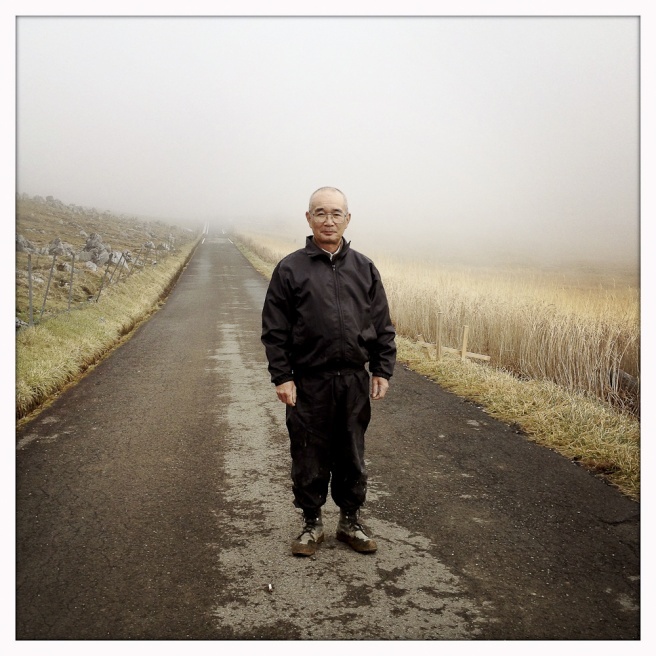 Taniwaki Susumu, 54, a local road worker who secures the surrounding mountain roads, stands for a portrait. 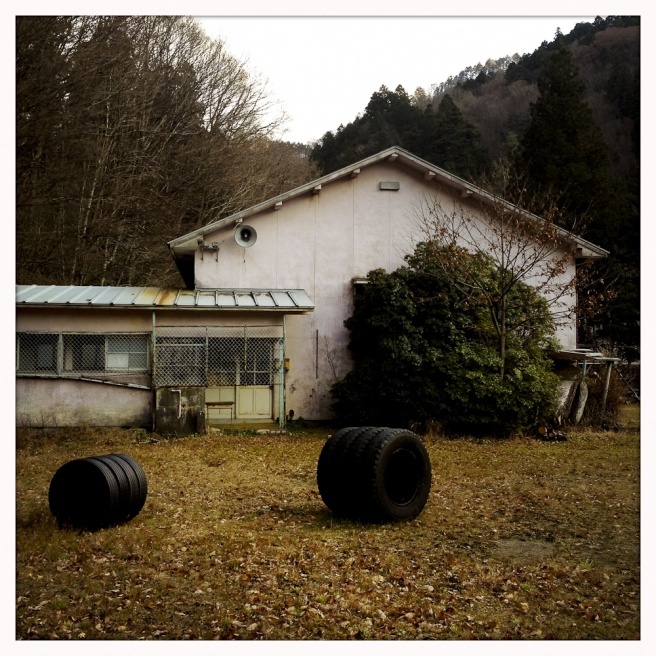 Oda - Miyama elementary school has remained abandoned since 2003. The high school, middle school and elementary school are all becoming integrated. 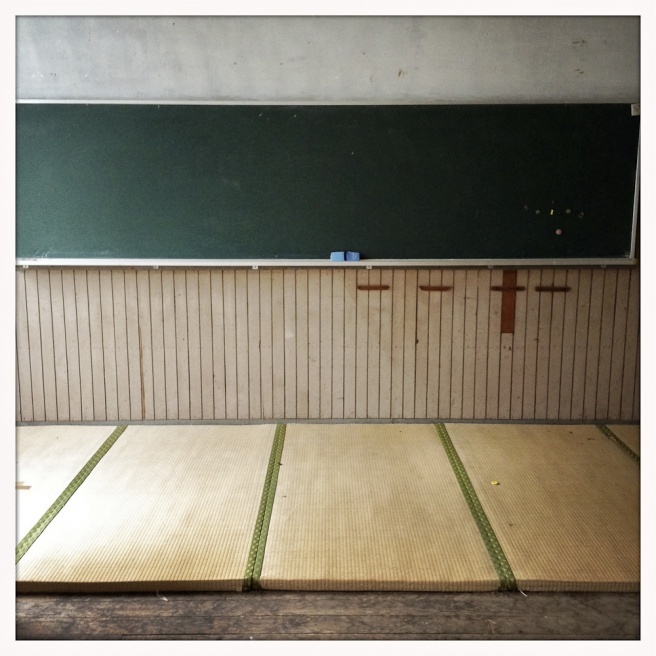 Tatami mattes remain in an empty class room at Oda - Miyama elementary, which has been abandoned since 2003. 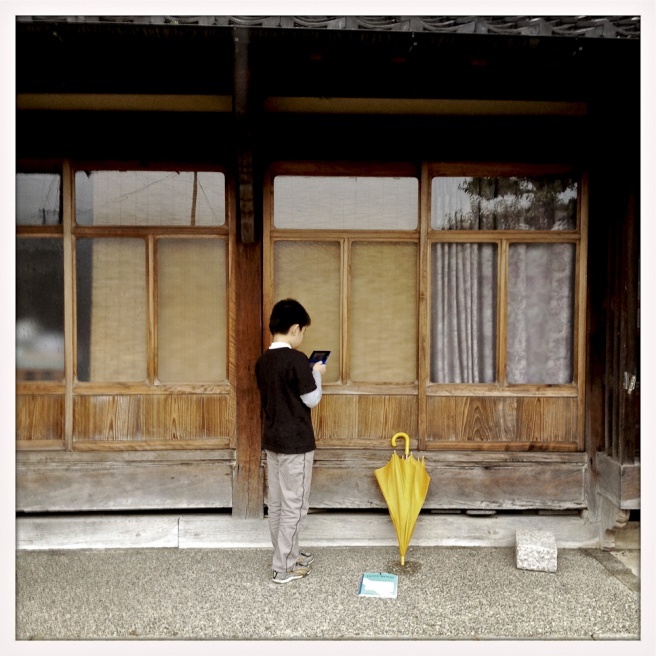 A school boy stands on a quiet street occupied with his electronic device. 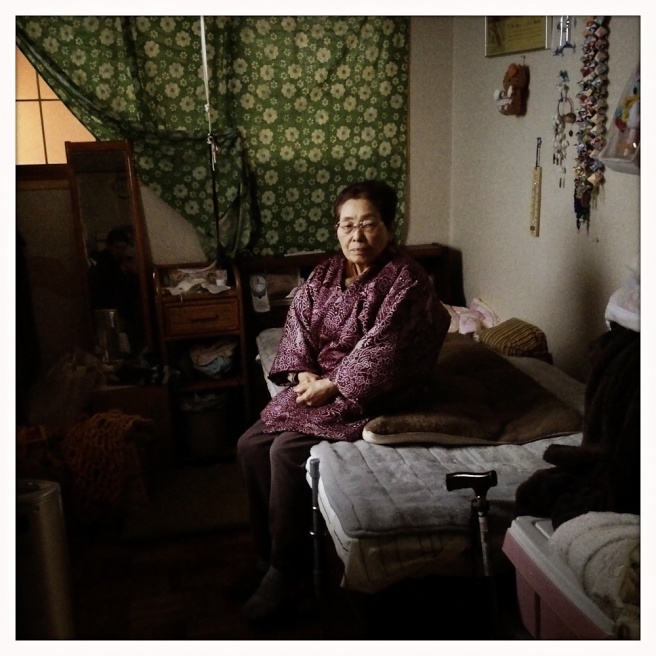 Masuko, 86, sits for a portrait at home on Main St. She has lived in Oda almost all of her life. 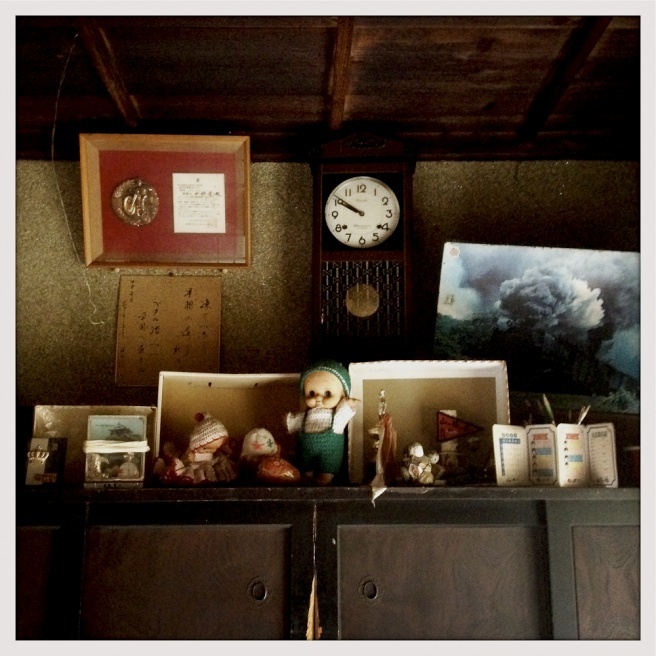 Invaluable belongings remain at the abandoned house of Eiko Nakano, 86, who lives in a near by group home called Kouyou-no-Sato, which means fall foliage. 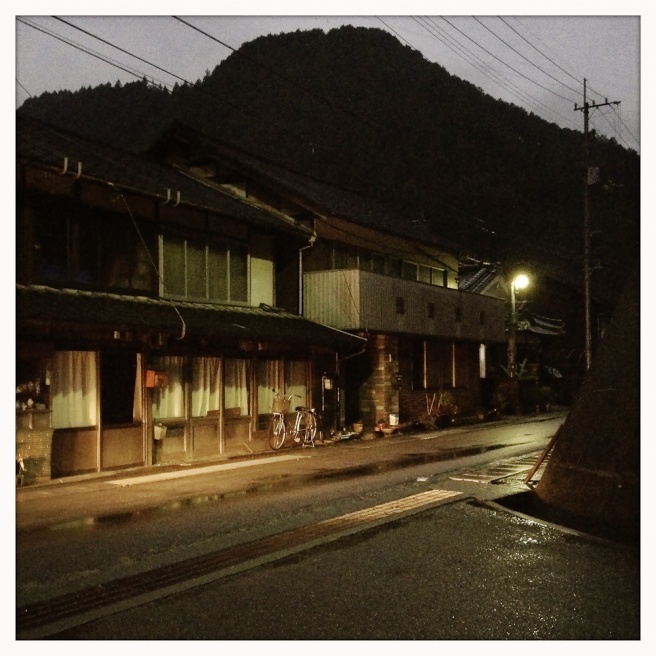 Kenji Tominaga, a local guesthouse owner has lived his entire life in the rural town of Oda. 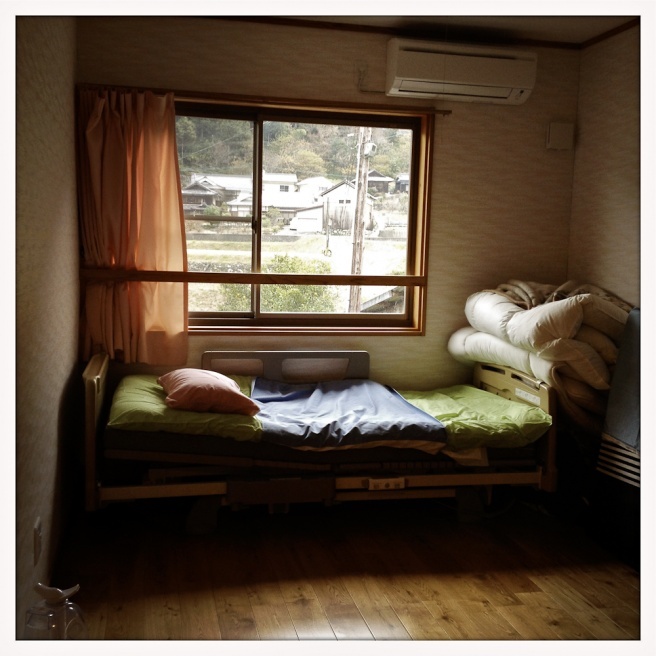 An empty bed room at Kouyou-no-Sato, a group home located in the center of town. 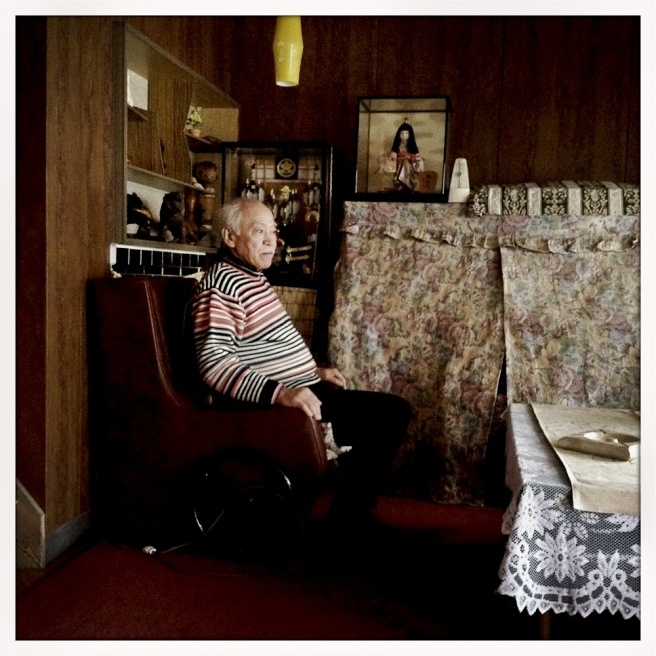 It's home to 40 to 50 seniors who lived most of their lives in the small town of Oda, Japan. 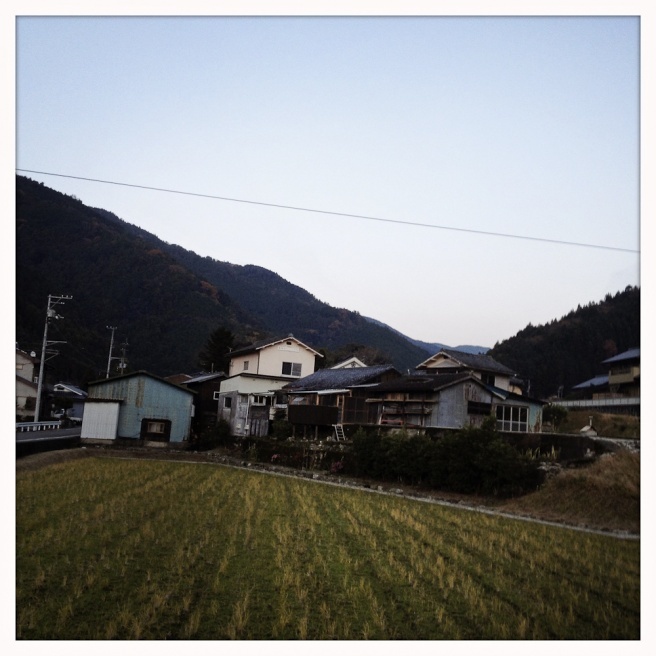 Lumber garages and old houses sit near a rice field on the foothills of a mountain. 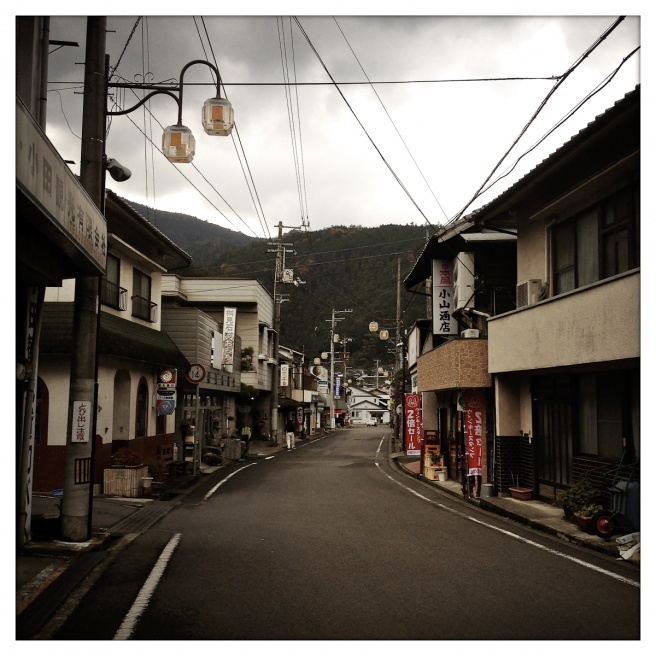 Oda is a small rural town tucked away in the mountains off the narrow, twisting roads of Uchiko, Japan, roughly an hour away from Matsuyama. 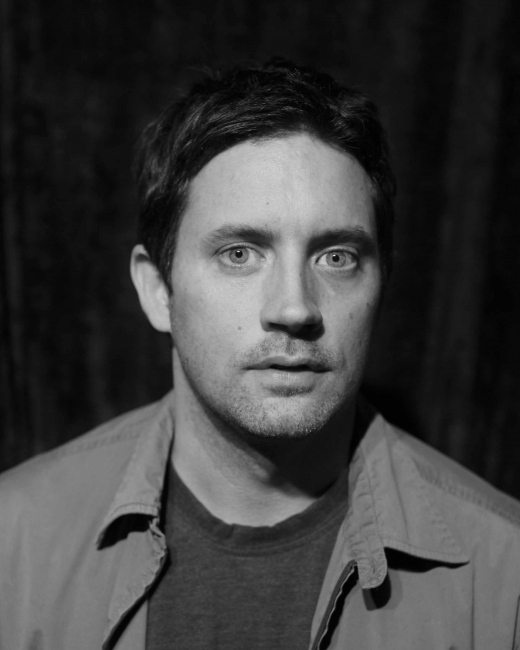 A town that has very little to offer its residents as a result of the depopulation issues. 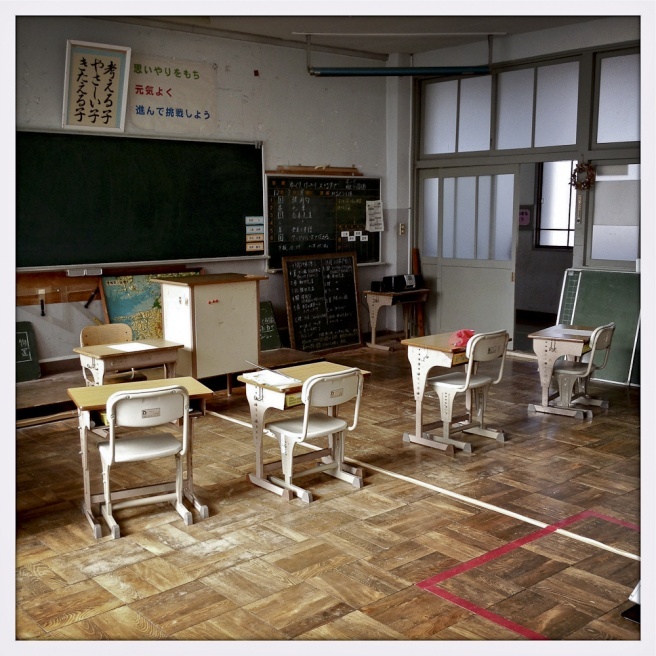 I meandered throughout Oda in search of day to day scenarios such as empty classrooms, abandoned places, local people and elements of the past working with an iPhone. 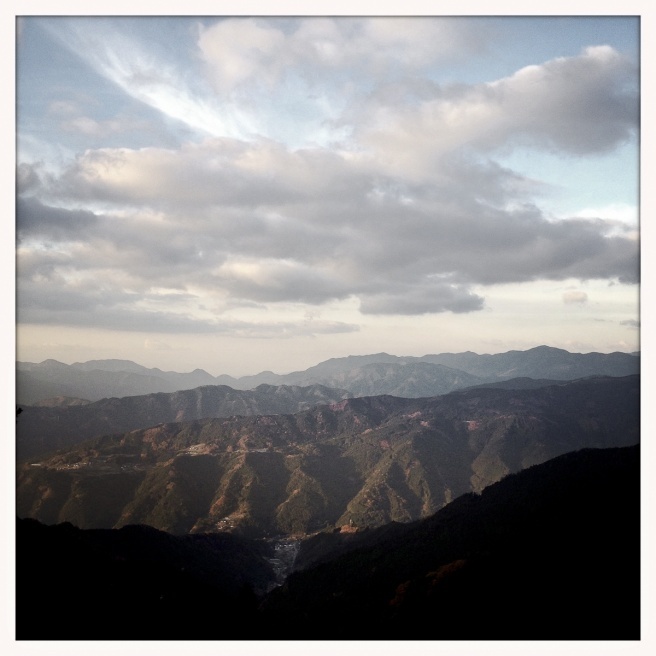 These images are a glimpse into the quiet and desolate land of Oda. In the past 10 years the population has decreased significantly causing problems in education, social services and many other areas. Local governments are concerned about maintaing and stabilizing people's lives in local communities. Most people who reside in Oda are older residence who has lived there all their lives. Due to the economic stagnation many local businesses, schools and homes are often a place of desertion. 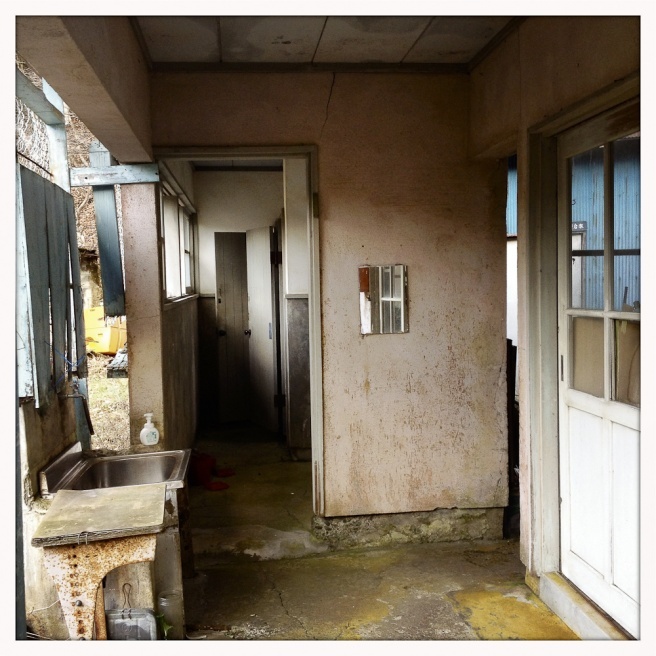 Depopulation in rural areas of Japan has been an issue for years. In Oda, the problem is steadily worsening while an aged population continues to grow older and a steady outflow of young people migrate to the bigger cities such as Matsuyama, Osaka, and Tokyo in search of more opportunity.